Are You Selling Out? Summer begins today! But before you brandish your tongs, don your apron, and light your charcoal, I need to grill you... on your summer sales strategy. Oh, and let's just get this out of the way: Whining about customers not getting back to you is a great strategy... if you're planning on transferring your grilling skills to Burger King. 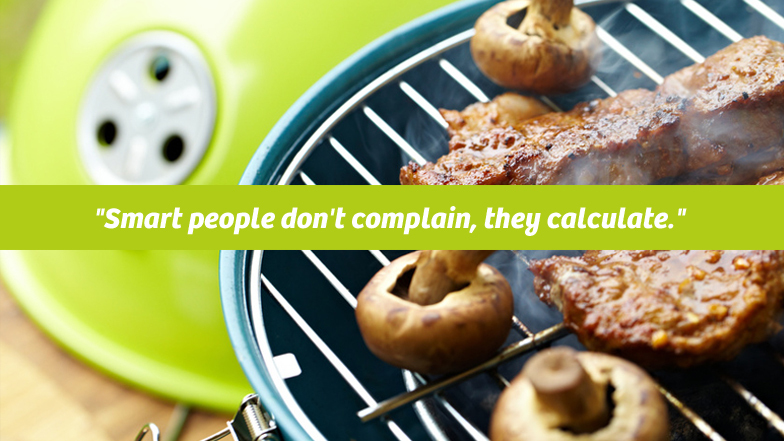 Remember what my wife tells my kids when they whine, "Smart people don't complain, they calculate." Summer may be the worst time to connect with customers, but it's the best time to calculate your plan for the rest of the year. 1. Write. Start your blog and kickstart it with 7 articles. Each can be used as a feature ezine article you start sending once a month for the rest of the year. 2. Get a new photo of yourself. Everything is brighter and more colorful in the summer - the background, the lighting, and you. Invest in a new pro head shot of yourself. 3. Update your web identity. Make sure your website has the latest info, refresh your LinkedIn profile, and post some updates to Facebook. 4. Develop a customer appreciation program. You've been giving away the same promotional product crap for years. They have enough pens and water bottles with your logo on them. How about developing a gift that they'll remember forever? I was recently given an Ozzie Smith baseball card as a "thank you" from a business partner. How do you think that changed our relationship? Spend the summer appreciating people. 5. List the 5 top activities you do that directly lead to business. Calling customers to check on them. Attending certain networking events. Sending email updates to your contact list. Updating your website. Emailing leads back quickly. Write down an idea to make each activity more efficient and effective. 6. List the top 5 time-drains that don't bring you business. Once you've identified them, brainstorm a way to automate them, delegate them, or say "no" to them. 7. Identify 7 customers you want to meet. Search their LinkedIn or webpage profiles for something or someone you have in common. How are you linked to them? Same hobby? Same school? Same interests? Same mission? Same friends? Email or call them. Mention the shared link and offer to take them to lunch. Or, call a person you both know and request you all get together for coffee on you. 8. Clean your office. You'll be surprised how much more motivated and focused you are when your surroundings are organized and tidy. Now that you've been grilled, you can light the grill. Just don't let the flame-kissed burgers keep you from fanning the flames of your summer sales strategy.